Last year, I released an updated Second Edition, with additional lessons and a spiral binding for easy copying (as a teacher, I know we need to copy a lot). The download version of the Second Edition is just $5, which means you save a dollar but get more content! 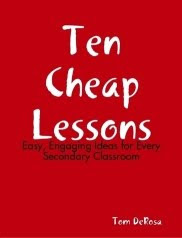 You can get Ten Cheap Lessons from the teachforever.com Bookstore, or online at Amazon or Barnes & Noble. If you really want to help get the word out, ask your local bookseller to order a copy for you. As far as I know, the book isn't available in stores, but if people request it, who knows what might happen! If you already have the book and are ready to pass it along, there's a few people waiting to trade for it on PaperBackSwap as well. Thank you to everyone who's purchased a copy or downloaded it for free! It's important to me that I'm making a difference for teachers (and ultimately students) all over the world. Happy anniversary! Welcome to the January 26, 2010 edition of the carnival of educators. Besides the great submissions included below, you'll find several articles without a name attached to them. Those posts were collected by yours truly. Here we go! Dave Saba presents Singapore vs U.S. Math: we lose posted at Edbiz, saying, "For 21st century skills we need to focus on applied mathematics." Dave also wonders: is the Apple Tablet for Education II "[d]isruptive innovation from Apple?" Liam Goldrick presents D-Day posted at The Education Optimists. Sarah Ebner presents Is inclusion good or bad for education? posted at School Gate - Times Online - WBLG, noting "I ran this post, written by a teacher, to ask what can be done about disruptive kids. Are the issues the same the world over?" Join the conversation! Marie Snyder presents Department Competition: The Great Green Challenge posted at Project Earth. "We tried to get all our teachers to become more environmental by pitting them against one another," she writes. Bellringers (Carol Richtsmeier) presents Pants On The Ground, Boxers & Anthems posted at Bellringers. How to Waste Money on Technology in Schools ends with a discussion question: "What are the worst technology purchases you’ve seen in schools?" I'm sure you've got tons of great examples, so head over to Creating Lifelong Learners. Pamela Jorrick presents Not Everyone Can Write Right posted at Blah, Blah, Blog. Free Science Labs thanks to My Homeschool Guide. Rachel Lynette presents I'm Done! What to do with Bright Students posted at Minds in Bloom. Alisha Harmann presents How To Calculate / Read An ACT Score posted at How To E-D-U. High school teachers can turn this info into part of a lesson on getting into college. Victoria Westcott presents Shannon Shares Her FAQS About Teaching & Living in London, England posted at Teach in London, saying "Shannon is a Canadian teacher working in a British secondary school. She shares her FAQs from her family & friends and provides great stories about what it's really like to teach in London as a young Canadian." Fish! on Look at My Happy Rainbow is a great example of the kinds of adventures this male kindergarten teacher shares on a regular basis. Speaking of fun adventures with students, check out Week in Review from Pigtailed Teacher, which sounds like a common week in elementary school (or middle or high school for that matter). Traumatized for life is a not-so-uncommon story of how a successful, bright adult developed a math phobia thanks to her third grade teacher, shared on Learning Strategies. That concludes this edition. Submit your blog article to the next edition of carnival of educators using our carnival submission form. 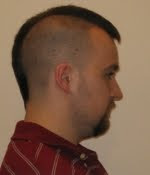 Past posts and future hosts can be found on our blog carnival index page. Technorati tags: carnival of educators, blog carnival. Mr. D TV is my weekly video series where I give advice to teachers on just about any topic. If you have a question you'd like me to discuss, email it to teachforever@gmail.com. If you like the video, check out the last episode or my YouTube channel for more. See you next week! Sub Woes [Math Tales from the Spring] - Mrs. H explains the not so surprising reasons that most of us hate taking days off! I cried 4 times today [Sup Teach?] - Krizia reveals how a unit on overcoming adversity opened the proverbial flood gates for both her and her students. You Can Be a Change Leader [TLN Teacher Voices] - A book recommendation for teachers and administrators eager to create lasting positive changes in their school. Shouldering the Burden [ms_teacher] - Why are teachers the ones who always have to make more and more sacrifices when there's budget cuts? How many times have you looked at a children's book and thought, "I could have written this"? Or maybe you're a parent or elementary teacher who never has enough books to keep up with voracious young readers? Have I got something for you! BigUniverse.com is an awesome children's literature website where you can read, create and share children's books online. The site allows teachers and parents to give kids access to thousands of books, makes it easy for them to create their own, and they can keep track of and share their favorites with you, siblings or classmates. Teachers can find leveled books and recommended reading lists, then assess students after reading, all in one comprehensive online location. 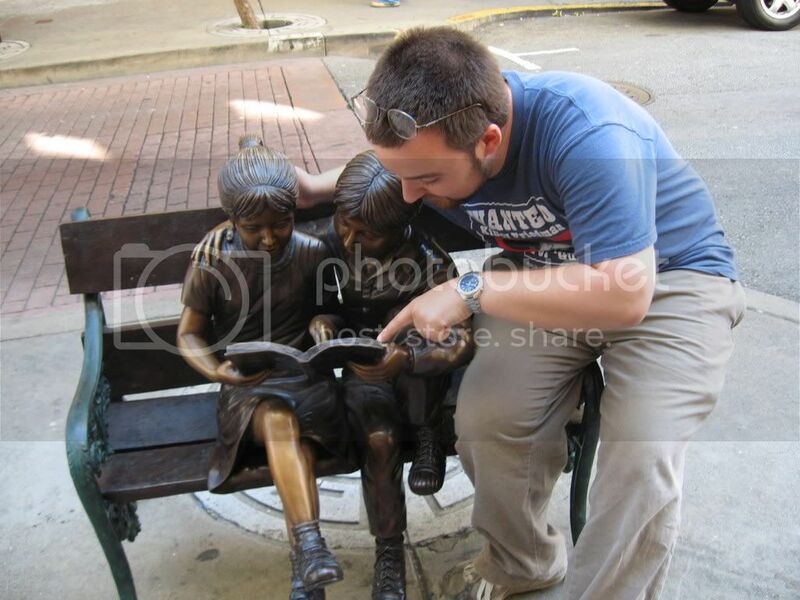 Here's a demo on reading and sharing. Pitch your children's book idea! Give me a quick summary of the plot, the skills you aim to teach (or how your idea would benefit young readers), an example of text or images you'll use, and who your potential children's book would be aimed at. Don't write the whole book: imagine you are sitting down with me and you have about five minutes to sell me on your idea. Remember, the best ideas can usually be explained in the fewest words! Check out this demo of BigUniverse's author tools to get an idea of how easy it would be and the great resources at your disposal. A Six Month Premium Membership to BigUniverse.com! Post your pitch in the comments below. Emailed entries will not be accepted. Entries must be 500 words or less. The contest ends at 11:59 PM CST on February 20, 2010. Anyone with a good idea for a children's book can enter (excluding employees of BigUniverse.com, of course), but there will be only one winner! Good luck! Fun With Fourier’s Law in the Cold Weather [Wired: GeekDad] - Awesome, easy science experiment you can do at home or school (if you can convince your kids to brave the cold)! Don't be illTwitterate or aTextual [The Innovative Educator] - Great ideas for using Twitter, text messaging service, and a free classroom response system (CRS) alternative with your students. Requiring algebra in eighth grade [Learning Strategies] - Larry Davidson comments on several articles about this issue. I have my own thoughts on the issue (I wrote about it when California first started talking about it in 2008) you can read here. Introducing Logs [f(t)] - I love Kate's way of easing students into this often frustrating topic. This is what I'll use the next time I teach it! The Case for Blogging in the Classroom [Creating Lifelong Learners] - Mathew Needleman dives into the subject thoroughly and from all angles. 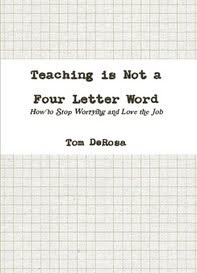 "Dear Mr. DeRosa" has become "Mr. D TV," but the idea is still the same: I'll offer advice on just about any education-related topic you're wondering about. I'm happy to be your sounding board or just your comic relief. Email your questions to teachforever@gmail.com. Like the video? Find more on my YouTube channel. As a family farmer owned company that is proud to grow and nurture grapes, Welch’s is here to help teach the value of sustainable agriculture and healthy eating. Hands-on experiences with planting, tending, and growing gardens provide a dynamic setting for learning and benefit kids of all ages. This year, in partnership with Scholastic, Welch’s will support school garden programs through Welch’s Harvest Grants. We are pleased to invite you to submit an application for your opportunity to win a valuable garden for your school. Entries will be judged by experts at the National Gardening Association, and two schools in every state will be selected to receive a Welch’s Harvest Grant. Winning schools will receive a customized indoor or outdoor garden package filled with a variety of tools, seeds, educational materials, and more. Deadline for submission is February 6, 2010, so we encourage you to start working on your grant application today. The contest is open to all K-8 schools (public, private, homeschool). Visit scholastic.com/harvest for the grant application, the rules and all the details. I was told the application should only take about 10 minutes and be pretty straightforward. 100 schools will be able to start a class/school garden, which is a great learning tool for a variety of subjects. Interested in the idea of starting a school garden, with or without a grant? Check out Sustainable Table's school garden and food projects resource page, with links to help you get started. 'Word up' with Fun, Free and Engaging Vocabulary Games [Digital Play] - All ten online activities would be great for helping ELLs. Speed Dating [f(t)] - If you've never seen it, this is a great structure for collaborative practice for any topic and any subject. Free Personal Finance Website from the University of Idaho [via Consumerist] - Great for lessons on real world math. The 'youngest headmaster in the world' [via Wired:GeekDad] - Have you heard the story of the Indian teenager who comes home from school and teaches what he learns to hundreds of children in his village who can't afford to go? If not, you need to. Carnival of Homeschooling 4th Anniversary [Why Homeschool] - Always a good resource for teachers of all kinds. Video: 4 Episodes of "Dear Mr. DeRosa" [12/14] - The kickoff for my video Q&A series. 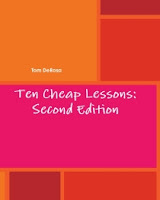 Pick up my revised and updated book, Ten Cheap Lessons: Second Edition ($12 paperback / $5 digital). Thank you, as always, for participating! 2009 was awesome, and 2010 is going to be amazing! I Want to Teach Forever has been around since July 24, 2007, but as I've noted many times, readership wasn't anything near what it was this year. Most people have been discovering posts I wrote a year or two ago only recently, and so the majority of the ten most read posts this year were written earlier. Since I don't have enough time to merit a "best of the decade" post, this is the best you're going to get. Did you discover something great here this year that was written in 2007 or 2008? Share it in the comments. Finding Life in Death - My uncle's death earlier this year forced me to reflect on my life and career. Send Yourself to Language School This Summer - My experience in a Spanish immersion program and why you should consider it if you teach a lot of Spanish-speaking ELLs. Is there a favorite post of yours that even I've overlooked? Share it in the comments.